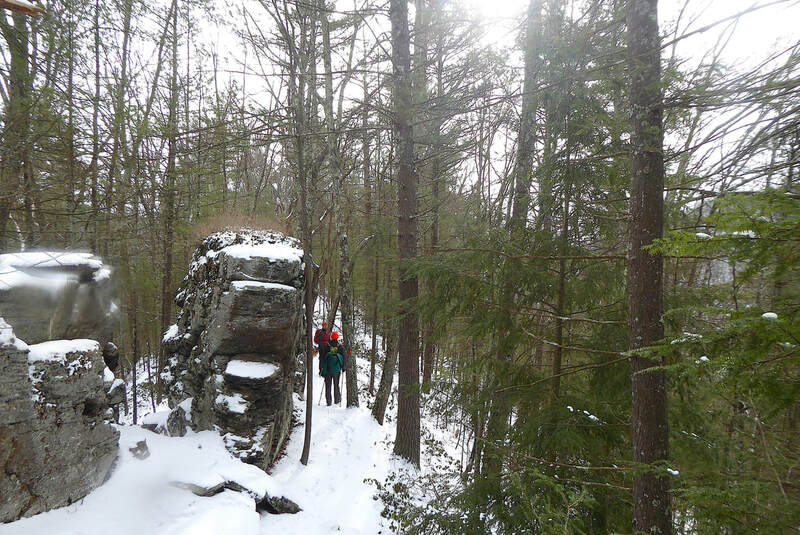 There used to be a hiking loop in Pine Creek known as Tiadaghton Trail. It was built and maintained by the folks at Camp Kline, just west of the little town of Ramsey. These folks built a suspension bridge that spanned over 400 feet across Pine Creek for their campers to safely cross the creek. Tiadaghton Trail followed the west side of Pine Creek from Ramsey to Waterville, then crossed Pine Creek and headed to Little Pine State Park and Little Pine Creek. From here the trail headed south back to Ramsey. After Camp Kline closed the east side of the trail was adopted and rerouted to what is now the Mid State Trail. 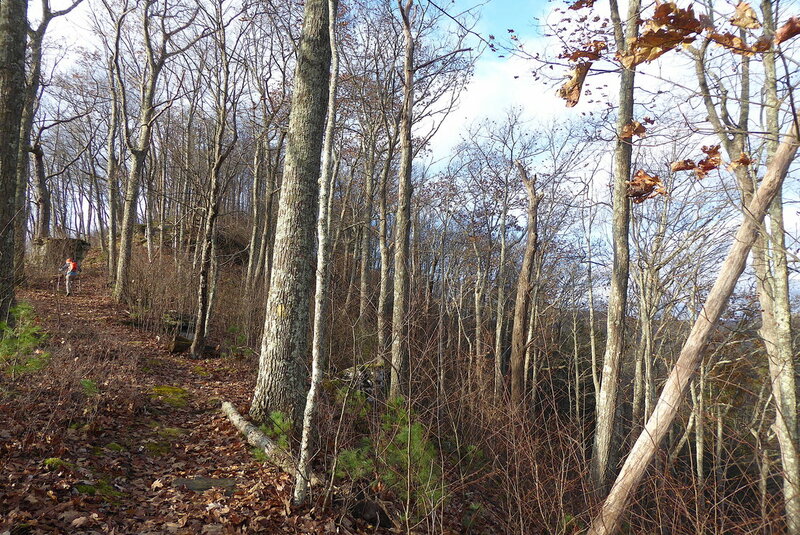 The west side of the trail from Ramsey to Little Pine State Park was forgotten and almost lost. Well guess what? 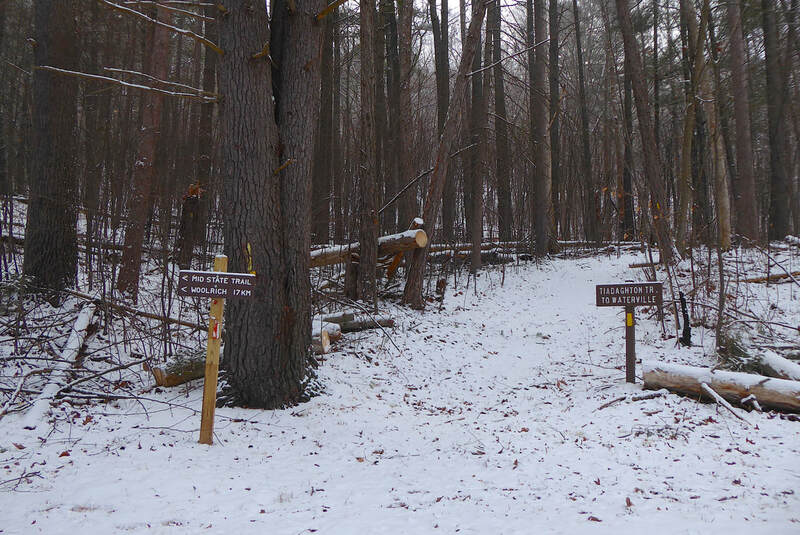 Thanks to a handful of thankless DCNR employees and volunteers, including (but not limited to) Ben Sands, Boyd Clark, Tom Bastian, Hunter Cero, Jersey Shore Outing Club, Mid State Trail Association, and PA Trail Dogs; Tiadaghton Trail is now back and better than ever! Although the official Tiadaghton Trail is now a 12-mile linear trail, I'm going to discuss the trail as if it were the old 23-mile loop. As stated above; this loop still exists, the difference is that the east side is now blazed orange and called Mid State Trail. The west side is blazed yellow, hiking only, and is a beautiful trail. The first lesson of Tiadaghton Trail, like many trails in Pine Creek, is to be prepared for steep ascents and descents! Multiple climbs reaching upwards of 1,000ft elevation change happen quickly, and the descents can be just as brutal. Thankfully, many switchbacks have been added in the last few years. These switchbacks help to make the trail less daunting. Even with the new switchbacks, I would suggest trekking poles and even spiked footwear if traveling in winter conditions. This trail can be relentless at times. Lesson two: Enjoy the narrow ridge lines, but don't fall off the mountainside! 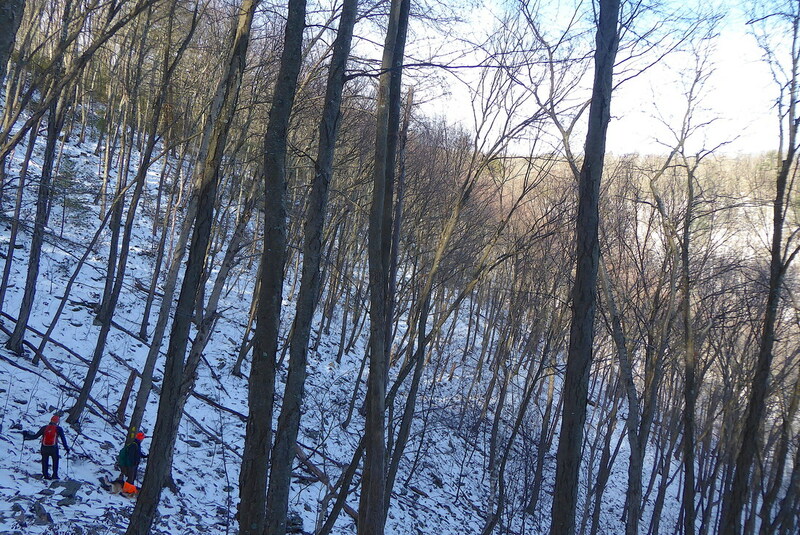 The ridge west of Ramsey is especially narrow. Another great spot for cliffside walking is the climb just north of Waterville. 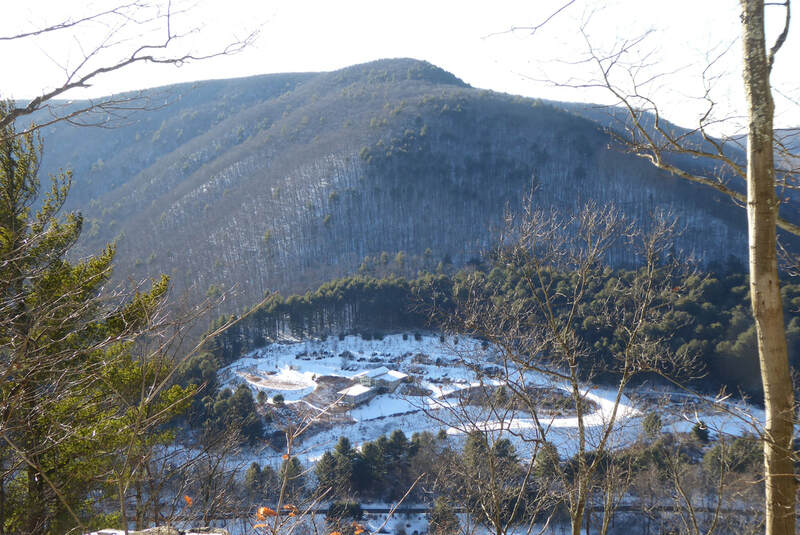 Here, the switchbacks seem to turn just at the edge of a spiney ridge that drops straight down several hundred feet to Pine Creek Rail Trail. 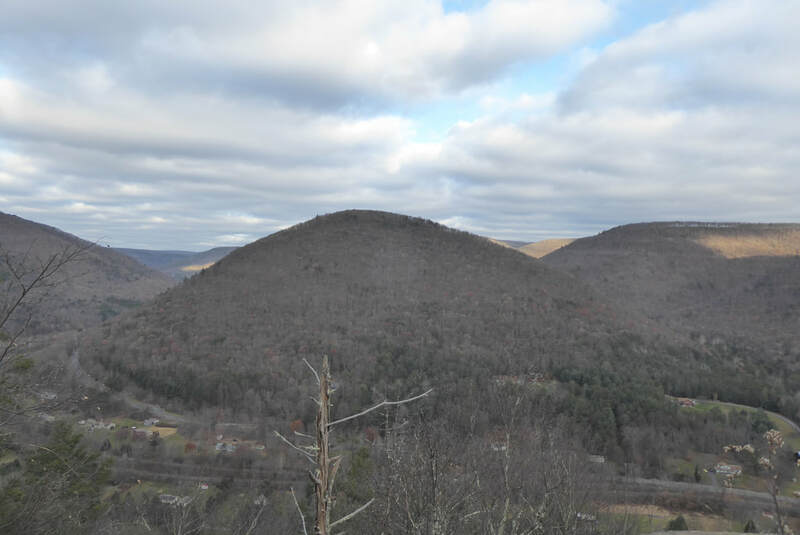 Love Run Trail, aka Mid State Trail, west of Little Pine State Park is another really fun narrow ridge. Finally, the steep descent heading southbound on the Mid State Trail towards Ramsey is nerve racking even with nice switchbacks. I inadvertently missed a switchback while running this ridge (too fast)...but was saved by clinging to a sturdy tree on the side of the mountain. If you've now decided to backpack this loop in 2018, let's talk logistics. 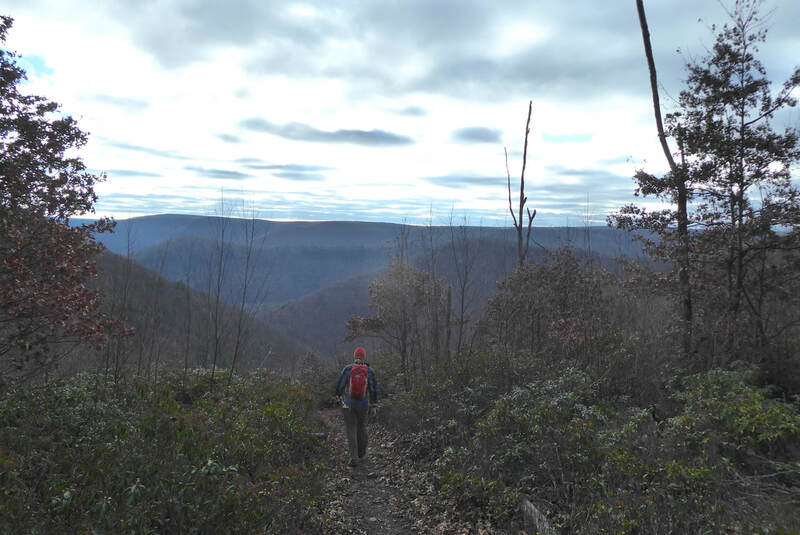 Lesson four: Resupply and camping along the 23-mile Tiadaghton/Mid State Trail Route. Clockwise, or counterclockwise, this trail is going to be difficult. Most experienced hikers will complete the loop in two days, but three days isn't a bad option either. Of course, there are folks who will do it in one very long day. No matter how many days you spend on this loop, consider resupplying at McConnell's Country Store in Waterville and Happy Acres Resort near Little Pine State Park. Both of these stores offer sandwiches and odds and ends for short-term resupply. Take advantage of these stores in order to lessen your pack weight. 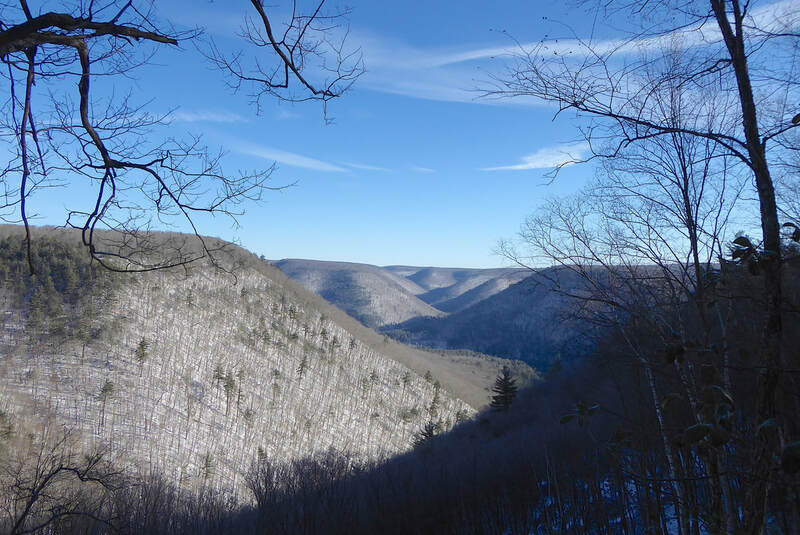 Several primitive campsites exist along the route, but hikers can also reserve a free site at Bonnell Flats near Ramsey or pay for a site at Little Pine State Park. 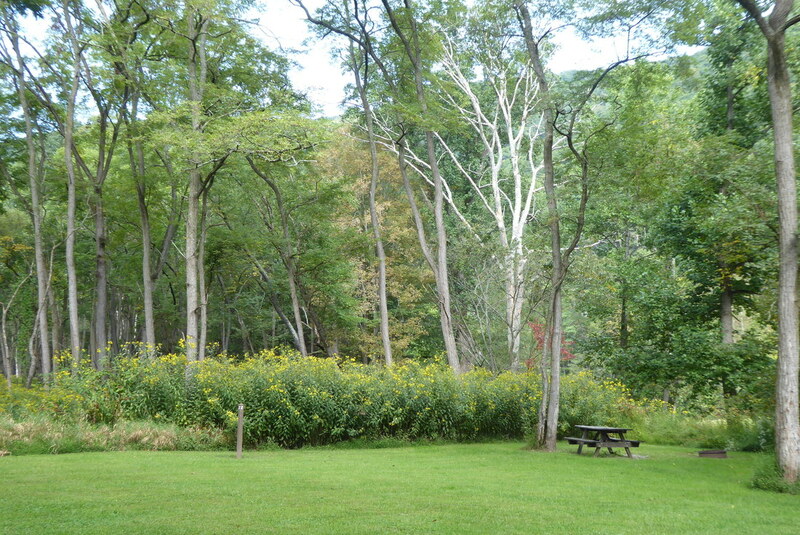 As mentioned above, there are hundreds of trails available to hikers in Pine Creek. The Pine Creek Lizard Map includes over 300 named trails in this region, along with all of the forest roads that criss-cross these public lands. 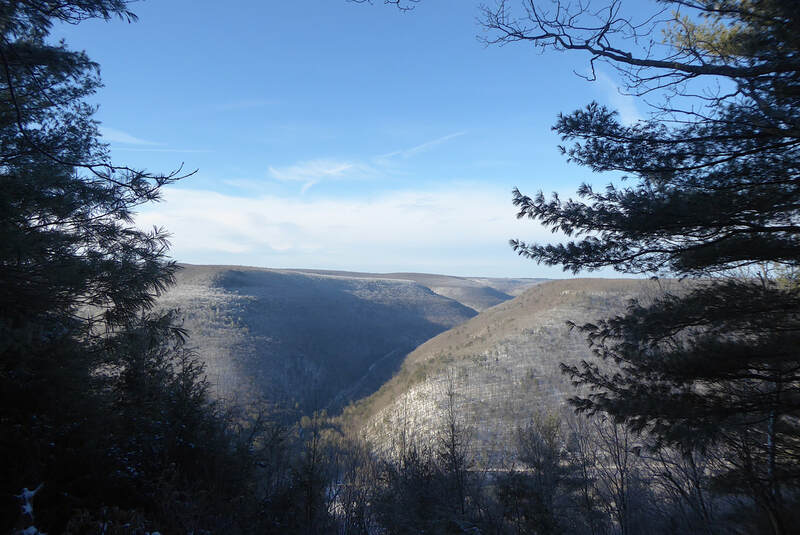 Be sure to set aside some of your time in 2018 to explore this impressive gem right here in Pennsylvania.